Extract Complete Virtual Machine Data From Corrupt or Damaged VMDK File. Get Instant Preview of Scanned VMDK file data created by virtual machines. Support FAT or NTFS Formats for premium recovery of vmdk files. Exclusive Search Feature with attributes such as Extension, Create Date etc. Proficiently Recovers data from corrupted, formatted and the deleted VMDK files. Flexibility to Extract & Save Recovered Vmware data at its original location. With the help of best VMware recovery software, the user can recover data from multiple VMDK files simultaneously. The VMDK repair tool performs the scanning of the VMware file in an isolated environment. The software is capable of recovery of data from the single virtual machine as well multiple machines at a time. The VMware VMDK recovery tool provides the flexibility to save only selected data recovered from corrupt virtual machine file. For this, you have to use the check or Uncheck option available. Thus facilitating you to save crucial virtual disk space. After the completion of scanning and loading of VMDK file, the software automatically enlists the content of the file for easy preview. VMware recovery tool provides the multiple attributes to preview of the content such as Name, Created Date, Modified Date and size in bytes. It only allows viewing some specific files having an extension like .xml, .log etc. The VMware recovery tool provides enhanced mechanism to search specific file within the VMDK files using its extension. You can perform the search using the multiple attributes such as Creation date, Modification date, and its last access date. The software also provides date filter option to filter out only data lies within specified date. 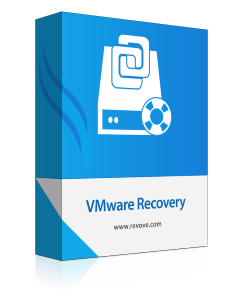 The VMware recovery tool provides the best functionality to save the data recovered from the corrupt VMDK file. It provides two different ways to extract and save data. Extract as Original: Allows to restore the recovered data in the selected partition. The Data stored in VMDK file in an organized manner. The Software also maintains the same folder hierarchy before and after the extraction of data from corrupt VMDK file. The software preserves the metadata as well the internal formatting of the VMDK file. After the recovery and extraction of VMDK files, the software generates export report automatically. The report includes the information such as VM number, Source folder, and the destination folder. VMDK repair software also allows saving the export report in the CSV file format. Step 4: Extract and Save Data. Does the software can easily be installed on Windows 10? Yes, VMware VMDK repair utility can easily be installed on latest Windows 10 system. Yes, For sure you can easily repair the corrupt vmdk file using the VMDK repair tool. Does VMware recovery tool support recovery of vmdk in batch? Yes, The VMDK repair tool provides the flexibility to extract and save data from corrupted vmdk file in batch. I do not know the exact location of VMDK file. Does VMWare File Repair Tool capable of automatic locates of files? Yes, You do not need to worry about the searching of the vmdk file from the local storage. VMware Recovery Tool does it for you in quick time. Will the software restore all items deleted permanently easily? Yes, Software stores all the permanently deleted data from the VMDK files with items such as videos, images, text files etc. The absolutely brilliant software! I was feeling helpless when data inside the VMDK file gets corrupted due to virus attack as a result of which I lost my crucial data such as documents files, videos, images etc. Then one of my friends has recommended using the VMDK recovery software for complete data extraction. It worked perfectly and gave me the satisfactory result. Therefore I would like to recommend it to others also for the easy recovery of lost data. VMware VMDK file recovery software helped me to restore my permanently deleted data from the VMDK file in quick time. The precisely recovered the complete data in the same folder hierarchy as the original. It also helps me to repair vmdk file corruption in efficient and simple manner. Thanks for the support for helping me to come out from such terrible data catastrophe. I would like to thanks, developer team also for such ideal software.